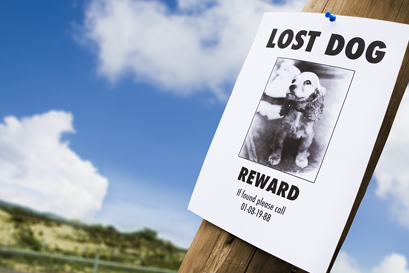 If your pet is lost there are several things you can do to help locate him or her. After you check your home and neighborhood thoroughly, visit our local shelters in person to see if your pet is there. Or you can view lost pets online at the Devore Animal Shelter or Big Bear Animal Shelter below. You can also search other area shelters online at the PetHarbor website. It is also recommended to visit other area shelters that service areas near your community in person. Alternativly, you can use social media sites like NextDoor to inform your neighbors that your pet is missing. Some websites are dedicated to lost animals in specific neighborhoods. If you are unable to locate your pet the first day, do not give up! Keep checking back and be sure to register your pet as missing at your shelter and at PetHarbor. If your pet’s microchip information is not current contact the microchip company to update it.